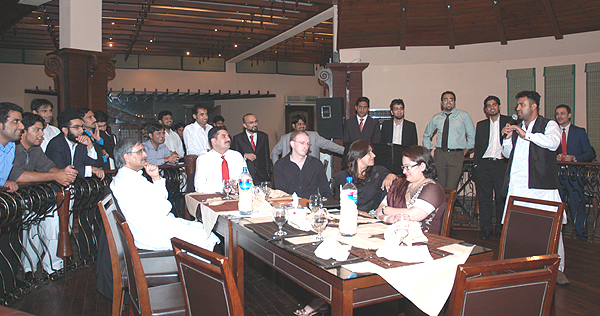 Islamabad, August 08, 2009: Second Youth Parliament Pakistan ended with a certificate Distribution Ceremony and a Farewell Dinner at Monal Islamabad. 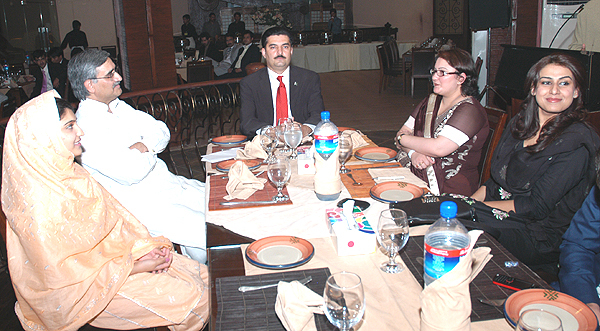 Mr. Faisal Karim Kundi, Deputy Speaker National Assembly of Pakistan was the Chief Guest at the dinner. Mr. Ahmed Bilal (Executive Director PILDAT) while giving his farewell speech acknowledged the contributions of the people involved in making the Youth Parliament a success and appreciated the knowledge of the Youth Parliamentarians. He recognized the presence of previous leader of opposition Ms. Marium Raza Zaidi and some other previous Youth Parliamentarians. Youth Prime Minister Mr. Ahmed Ali Babar (YP21-PUNJAB02) said that Youth Parliament was a life time experience and he thanked the team of PILDAT who worked as the Secretariat for the Youth Parliament Pakistan. Youth Leader of Opposition Mr. Farrukh Jadoon (YP13-NWFP01) while sharing his experience said that Youth Parliament has given all the Youth Parliamentarians a lot of exposure, knowledge and experience. He thanked PILDAT team and British High Commission for providing a platform like Youth Parliament to the Youth of Pakistan. Mr. Faisal Karim Kundi in his farewell speech said that the entire Youth Parliament Pakistan can contact him anytime if they have any kind of problem. Certificates were given to all the Members by the Chief Guest. 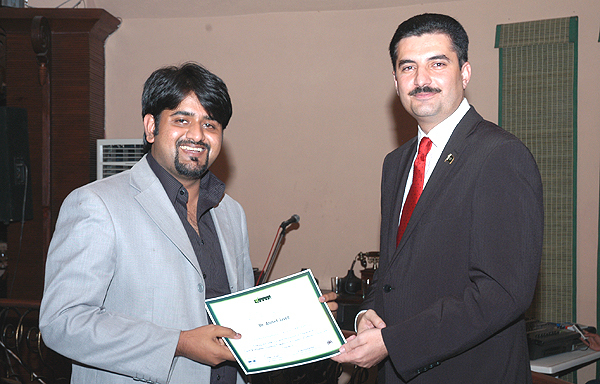 Some members all presented gifts to Mr. Faisal Karim Kundi and Mr. Ahmed Bilal Mehboob. Certificate distribution ceremony was followed by Dinner and Musical program.